For more Acupuncture information, Email Us: faithhope5683@gmail.com. 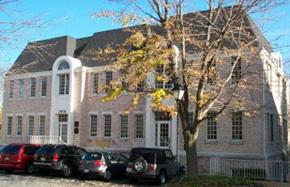 The Center of Acupuncture and Chinese Integrative Medicine was founded by Eugene Zhang, CMD, Ph.D., L. Ac. in 1997. Eugene Zhang Licensed Acupuncturist and Chinese Herbalist, has been practicing acupuncture for over 20 years, and is a graduate of the top oriental medical school in the world: the Beijing University of Traditional Chinese Medicine. 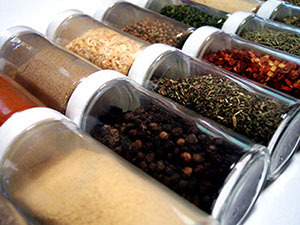 He is well versed in creating personalized natural herbal remedies and Chinese herbal medicine for all types of conditions from allergies to female and male infertility with very high success rate. 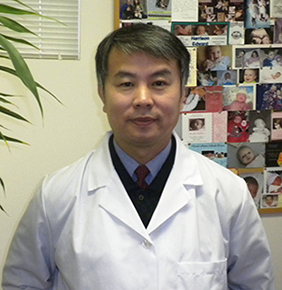 In China, Dr. Eugene Zhang is a Medical Doctor, or referred to as an Oriental Medical Doctor (OMD); here in the US he is one of the top Licensed Acupuncturists in Virginia, Maryland and Washington DC. area. Dr. Zhang was one of the first acupuncturists to be licensed in state of Virginia to practice in Northern VA back in 1999. 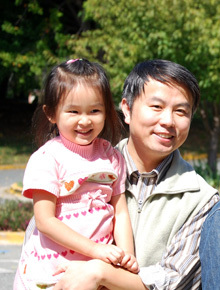 He was a well-respected professor and Clinical Supervisor for the prestigious Maryland Institute of Traditional Chinese Medicine (MITCM)and currently teaches at Virginia University of Oriental Medicine in Fairfax VA. Because of his years of experience, he serves as a consultant for the Council of Colleges of Acupuncture and Oriental Medicine (CCAOM). Zhang is also a senior Tai Chi and Qigong Instructor, both in the United States and in China. He has written a detailed book, “The Ultimate Exercise for Mind and Body” that explains the benefits of Qigong and shows pictorially the different body postures. Acupuncture may be defined as a type of medical treatment that helps the patient to fight against diseases through the mechanical stimulation of pre-established acupuncture points (meridian points) on the body. Acupuncture can be traced back through four thousand years, archeological findings from the Shang Dynasty (c. 1300 BC) reveal early medical notations, and by the Han Dynasty (206 BC-220 AD), there is evidence of a complex acupuncture and Oriental medical system. Acupuncture continues to evolve, and today is rooted in the mainstream of Asian medical systems and has branched out to meet the growing demand for safe, clinically effective and affordable health care in the west. Our body has innate abilities to overcome diseases and illnesses. According to traditional Chinese medical theory, acupuncture promotes these abilities to heal itself by regulating and balancing the flow of Qi (Chee), often described as the body’s electromagnetic energy, that travels along channels identified over centuries of meticulous clinical observation by Chinese practitioners. Eugene Zhang, CMD, Ph.D., L. Ac. Chinese Herbal Specialist, Medical Doctor in China would be more than happy to set up a private consultation to discuss your medical concerns and explain to you how Acupuncture can help you. Call Dr. Zhang can answer any questions you have about how acupuncture and Chinese herbal medicine is proven effective for treating your chronic illnesses, injuries, pain management, infertility and more. Patients come from all over the Greater Washington DC area to Dr. Zhang�s Northern Virginia Fairfax office for treatment, because acupuncture is proven to get to the root cause of one's pain. ""Dr. Zhang, Thank you so much for helping me conceive a second time. Very early on you guessed it would be a boy, and you were right! Thanks to you I now have a beautiful 2 year old girl and a very handsome 3 month old son. I cannot thank you enough - you are truly amazing. I hope all is well with you and your family. Sincerely, Jennifer"
"Both Tim and I want to THANK YOU for everything. We truly believe if it was not for your help and guidance we would not have our son Ace Jordan in our lives. We tell everyone we meet about you and your services. After our ectopic pregnancy, D&C, chemotherapy and IVF tests, it was great to conceive naturally with your help - and so fast. Even after my doctor wrote off our pregnancy - due to hormone levels not increasing, you kept telling me to keep drinking the herbs and we even shocked our doctor! You also told us we were going to have a baby boy and you were right - once again! :) We now have a beautiful addition to our family. If there is anyone who might want to discuss what we went through, please feel free to give them our email to contact us (ayda008@yahoo.com). I will be in to see you soon :) Thanks again - with all our heart!" "After having four miscarriages, my husband and I went though almost every possible diagnostic procedure there is in western medicine and were told that I had 0 to 5% chance of getting pregnant with my own eggs. The news was devastating for us even though we had a son. We wanted another child so badly. I remember crying for few days, and then decided to become my own advocate. I really didn't believe the diagnosis because I was only 34 years old. I began my search for alternative treatment through Internet and learned about traditional Chinese medicine. I found Dr. Zhang in my local area and went to him for consultation. After Dr. Zhang examined me, he told me that if I started treatment (acupuncture and herbs) I would be pregnant within 3 months. Just one month after having TCM treatment by Dr. Zhang, I became pregnant and recently gave birth to a beautiful daughter. Dr. Zhang is a positive and confident professional. We cannot express our gratitude enough, and because of his help we have a beautiful little girl!" "After three long years of infertility, my husband and I decided to try IVF. I had read the studies showing the increased success rates of IVF cycles combined with acupuncture, so we decided to add it to our treatment. Eugene Zhang came highly recommended and now we know why! Our IVF cycle, along with Eugene's treatments, was successful and now we have a beautiful daughter! We believe that Eugene was an integral part of that success and we are forever grateful! We have since recommended Eugene to several people in conjunction with their IVF cycles and we know of at least 5 additional pregnancies among those folks! Thank you Eugene!" We just wanted to thank you for all you've done to help us concieve naturally! We know we still have a long way to go... but after being told we had less than an 8% chance of getting pregnant on our own... this is the closest we've got. We asked God to send us to someone who could help, and we beyong thankful He sent us to you. Thanks again for being such a blessing to us!" -	Drive around back to entrance in the rear. --Take right onto University Dr.
--Take immediate left onto Layton Hall Dr.
--Entrance is in the rear. --Follow Rt. 50 E to intersection or Rt. 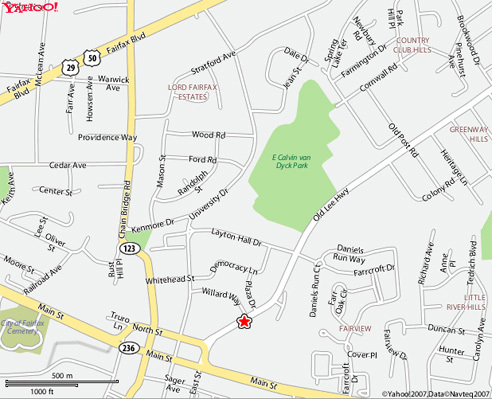 50/29/ Main St.
--Take immediate left on Layton Hall Rd.